Karen J. Alter is Professor of Political Science and Law at Northwestern University, a permanent visiting professor at the iCourts Center for Excellence, University of Copenhagen Faculty of Law, and the co-director Research Group on Global Capitalism and Law at the Buffett Institute at Northwestern University. Alter’s expertise concerns global and regional judicialization of international relations, with a particular focus on international adjudication. 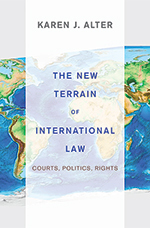 Alter is author of the award-winning book The New Terrain of International Law: Courts, Politics, Rights (Princeton University Press, 2014); International Legal Transplants: Law and Politics of the Andean Tribunal of Justice (Oxford University Press, 2017, with Laurence Helfer); The European Court’s Political Power (Oxford University Press, 2009) and Establishing the Supremacy of European Law (Oxford University press, 2001), and more than fifty articles and book chapters on the politics of international law, comparative international courts, and international regime complexity. She is also co-editor of the Oxford Handbook on International Adjudication (Oxford University Press, 2014) and International Court Authority (Oxford University Press, 2018). 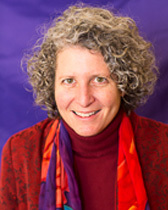 Alter serves on the editorial boards of the American Journal of International Law, International Studies Review, Journal of International Dispute Settlement, and International Organization, and she is a member of the Council of Foreign Relations. Alter is a former Guggenheim Fellow, winner of the Berlin Prize from the American Academy in Berlin, and the winner of the American Society of International Law’s Certificate of Merit for a Preeminent Contribution to Creative Scholarship. Alter’s new research focuses on the construction of global economic rules regulating trade and money, and on the determinants of politically sustainable capitalism. “Theorizing the Judicialization of International Relations” (with Emilie Haftner-Burton and Laurence R. Helfer) International Studies Quarterly, forthcoming 2019. “The Rise of International International Regime Complexity” with Kal Raustalia. Annual Review of Law and Social Science, Vol. 14:329-349, 2018. ”The Empire of International Law?” A Review Essay in American Journal of International Law, Forthcoming 2019. “The Future of International Law” in Diana Ayton-Shenker ed The New Global Agenda, Lahnham: Rowman & Littlefield, 2018. Chapter 2 (25-42). Blog discussion August 3-8, 2016 at EJIL Talk! Interview with Karen Alter at EJIL:Live! Certificate of Merit for a Preeminent Contribution to Creative Scholarship, American Society of International Law, 2015. Best Book, ILAW Section of the International Studies Association, 2014. Honorable Mention Chadwick F. Alger Prize for the best book published on the subject of international organization and multilateralism. International Studies Association, 2014. American Academy Berlin Prize, 2012. John Simon Guggenheim Memorial Foundation Fellowship, awarded in the field of law, 2011.